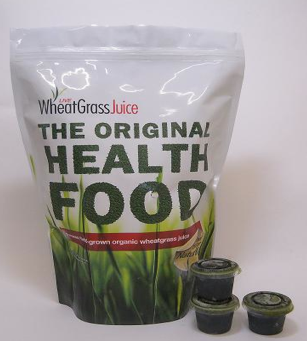 The idea that ‘it’s got to taste bad to be good for you’ can surely be traced back to wheatgrass juice. The lawn-y smell, the weirdly sweet – then bitter- taste, the leaden gut feeling you can get from it, is far from pleasant. But if you can learn to stomach it, you’re treating yourself to one of the most potent purifiers known to man. The late Ann Wigmore is regarded as the pioneer of wheatgrass therapy. 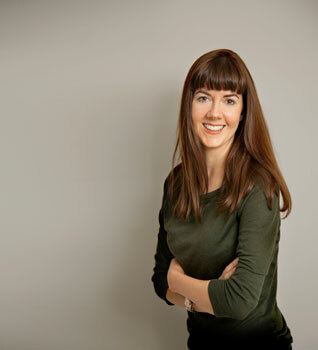 She founded the Hippocrates Health Institute (now the Ann Wigmore Institute) and treated thousands of patients with her wheatgrass blend and special diet. She is credited with restoring health to many patients with chronic illness – notably cancer – who had failed to respond to conventional treatments. ‘A surprisingly high percentage of those advanced patients found that wheatgrass treatment not only alleviated their conditions and halted the progression of their diseases, but actually cured them and left their bodies cleansed and rejuvenated,’ writes Collins. I stumbled upon the Mullum Sari website in the midst of my research. What a find! The Aussie retreat offers oxygen therapy, colonic hydrotherapy and infrared saunas – the latter still being incredibly hard to find at gyms and spas in Australia. According to Standley a steady stream of cancer patients pass through the doors of Mullum Sari, along with exhausted city-dwellers and locals looking for an energy boost. So what other conditions might wheatgrass be helpful for? ‘Besides cancer patients you’re looking at people with chronic fatigue – anyone who suffers from a lot of stress – anyone who gets terrible headaches and migraines,’ says Standley. In the hit HBO series, ‘good’ vampires rely on a synthetic blood beverage -‘True Blood’ – to stay nourished without feasting on humans. 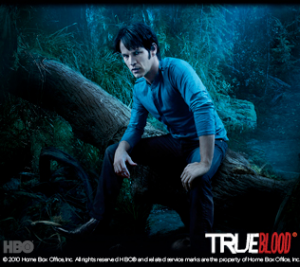 But perhaps Vampire Bill Compton could survive on wheatgrass instead. Chlorophyll, you see, has almost the same molecular structure as hemoglobin, and, in the nutrition world it’s known as a powerful blood-builder. Anecdotal evidence shows that patients who soak in chlorophyll water baths can double their red blood cell count in days, according Dr Bernard Jensen in Health Magic Through Chlorophyll from Living Plant Life. Wheatgrass is a nutrition powerhouse, packed with at least 13 vitamins, including B12, many minerals and trace elements, including selenium, and all 20 amino acids. The deep green liquid also contains laetrile (remember the apricot kernels?) the antioxidant enzyme SOD (Superoxide Dismutase) and a host of other nutrients. If that wasn’t enough, wheatgrass is one of the most alkaline foods you can find. Eating foods that have an alkalizing effect on the body – think green leafy vegetables, lemon and avocado – can help keep your system healthy and cancer free (since cancer cells thrive in an acidic environment). 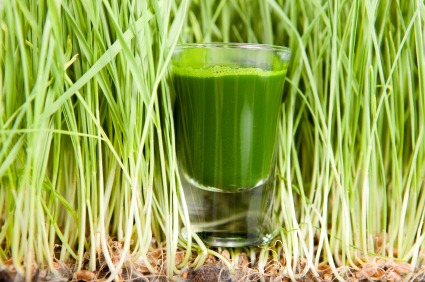 Dr. Chiu Nan Lai, of the University of Texas Health Sciences Center in Houston, was one of the first to suggest that wheatgrass might be cancer preventative. According to Dr. Lai wheatgrass has anti-mutagenic properties. Through using an Ames Test (a blood test for detecting any kind of cancer) she demonstrated that an extract of wheatgrass was capable of reducing the cancer-causing abilities of known chemical mutagens by up to 99%. In another 2006 study, published in the Journal of Clinical Oncology, terminally ill cancer patients were given a 30ml infusion made from fresh wheatgrass leaves and roots each day for six months. The researchers noted a 50-70% overall improvement in patient health following the regime. They concluded that wheatgrass juice is an effective, natural alternative to blood transfusions. Drinking wheatgrass can help with everything from digestion and heart disease to fatigue and skin problems, according to experts. You can also apply it to your face – to give you skin a natural cleanse – or add it to your scalp…some believe it can help delay hair turning grey. The miracle green stuff could even help you scale Kilimanjaro – earlier this year two raw-foodists took wheatgrass sachets with them up the mountain. With the reduced oxygen at that altitude, you can see why they thought it was a good idea. 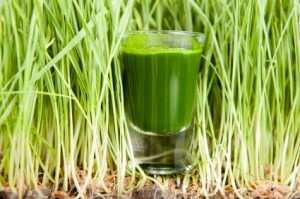 I like to mix a shot (28ml) of wheatgrass in with my morning juice of celery, carrot, apple and broccoli sprouts. I recently bought a three-month supply or shots, from Evolution Organics. Each night I defrost one of the mini-cups, so it’s ready to go in the morning. The wheatgrass is locally grown in Northamptonshire and picked after two to three months of sunshine and rain. Apparently outdoor grown wheatgrass contains no simple sugars and carbohydrates and more chlorophyll than indoor equivalents. Evolution Organics guarantees that the wheatgrass is frozen until late evening on the day of delivery. So if it’s being sent to your office, you can keep it by your desk until you go home. 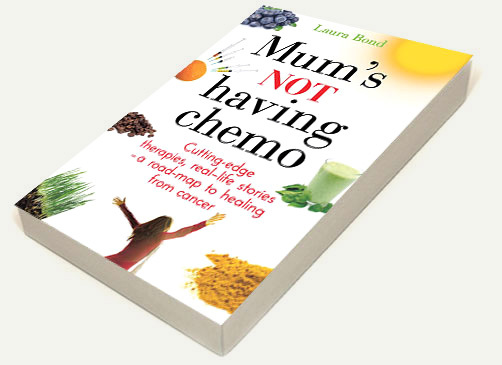 On that note, if you’re interested in hearing more about Mum’s holistic regime, she will be speaking at the upcoming Chemical-Free Life Seminar in Perth, on Saturday 21st July. The event – focusing on ways to minimize exposure to toxins and reduce the risk of cancer – is organised by Wendy’s Organics and Perth Organics. Dear Gemma, Speaking of toxins removal, the Lifewave Glutathione patch is recognised as one of the most economical, safest and effective way to remove Toxins and yes, well know for relief with many seroius conditions. The Lifewave product is now being used in hospitals throuout Europe by treating practitiones. It is also being used regularly for people exposed to the Japan Radiation fallout to remove these toxins. As a confirmation of the Lifewave product: Lifewave is the first MLM in history to now have our product reviewed and accepted by a Ministery of Health. Below are are couple of extracts from working with Autistic ADHD children. I would like to stress that the Lifewave product is NOT promoted to Cure, Prevent or Treat any disease in man or animal but does have great results with “Symptoms” as proved with Clinical Studies, Tests and Peer reporting world wide. Hoping all is going well and contact us any time you have questions or need support. Received from Laurie of Salisbury North, South Australia. [21/06/2012 9:35:20 PM] Laurie: Hi Bob. Yeah I’ll do that. I’ll get the patch info to Dr Martin soon. Also, something of interest. I put the Glutathione patch on Ali & have used the sleep patch. The other day at Kerry’s mum’s Ali was playing with his alphabetical key board which asks him where a letter is. It asked where was the letter D. The next thing I see Ali move his fingers along the keys. He goes past the B & the C then past the D then past the E then back to the D & hits it. The voice of the keyboard then says, that’s right you got the letter D. I couldn’t believe my eyes or ears, he had made an intelligent decision. Who knows what’s next? Andalene and another lady in the UK support the parents and doctors attending to Autistic children in their respective countries. This report is quite common of the style of reaction we often receive when assisting the Autistic children with the Lifewave product. [3:43:58 PM] Andalene: just got a WONDERFUL report from the mom of the 7 yr old autistic boy that I sponsored!!!! he had a friend come to play (a miracle on its own!) then when the friend went home he said to his mom, ‘Why did you say Jandre was different? ?’ he is improving soooo much! [3:46:05 PM] Andalene: that means of course we will sign up the autistic school he goes to AND the medical doctor that is into this type of stuff and specialises in autism!!! woo-hoo!! Lately we have twice been asked to attend the Disability SA School in Elizabeth to check on the progress of Ali. Ali is a 6 ½ year old boy that has been suffering with Down Syndrome along with indications of ADHD. For some years his sleep patterns have deteriorated to the point where he was usually still awake until well after midnight and would generally be awake by around 6 AM or earlier. He was also near continually pinching, punching and biting during his waking hours and of course was extremely disruptive with other students at the school. His lack of sleep was of great concern. The Women’s and Children’s hospital had been providing the parents with an IV kit along with medication to use regularly with Ali in an attempt to try and assist with his sleeping. But this did not improve his condition and more, created extra stress for both Ali and his parents. The first night the father attached a Silent Night patch on Ali, early in the evening, he climbed onto his dad’s lap and went straight to sleep. The father put Ali to bed, applied the same patch to himself and both had a great nights sleep – the first for quite some time. With regular use of the Silent Night patch Ali now sleeps from early/mid evening to around 6 to 7AM without any dramas. Ali has also been wearing the Glutathione patch at times and is now much calmer with just occasional aggression. The school teachers and headmaster are very pleased with his far better co-operation and the way he now integrates with other classmates. He is also beginning to talk sentences and seems much happier with the ability to communicate better. Another boy, a 15 year old, in NSW had also had great difficulty sleeping for some time, generally still up well after midnight and suffering with stress through ADHD. His sleep pattern has now improved dramatically where he settles down well earlier in the evening each night and he is now asking for extra Silent Night patches to ensure this pattern continues. He also suffers frustration with communication and the parents are now planning to help him further with the Glutathione patches. Another very interesting episode! I am very excited, just bought 2 tickets for the 21st! Thank you for all your information. Please, if you could, give me the recipe in full for the juice that you have each morning. I will be attending the seminar on the 21st. My juice varies from day to day. However,there are a few regulars.. Went to the seminar today, It was very interesting about all the chemicals in our hair,skin,and foods. Your Mother speech was fantastic, just love it and learnt more. It was also good to find out that she is in good health too. Even had some wheat grass juice. Thanks again Girls.